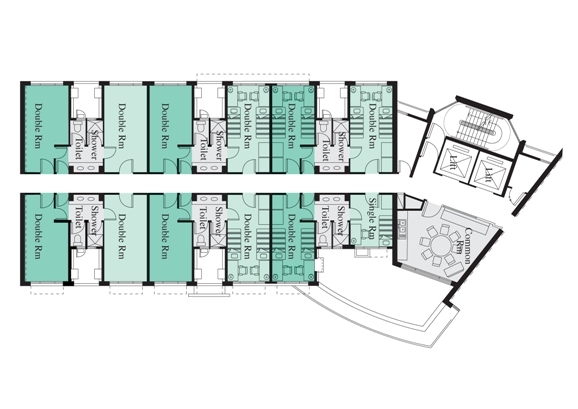 Due to site variation and building requirements, the rooms in different halls slightly vary in size and furniture configuration. Student Residence at Cornwall Street offers shared double rooms and a limited number of single rooms/disabled rooms/3-person Room (1-bedroom Unit). Whether single or double, each room gets you started with all the basics . Report to SRO immediately, the charge for the replacement of a Resident Card is $100. Washroom. Two adjacent rooms share one washroom which includes a shower booth, a lavatory and wash basin counter sets with mirror cabinets for single and double rooms. 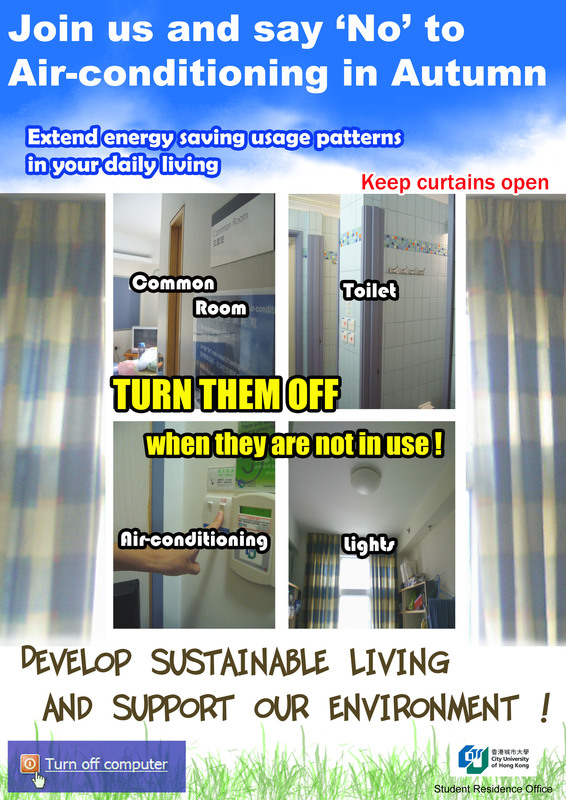 For layout of washroom of 3-person Room (1-bedroom Unit), please refer to here. Writing desk, chair, bookshelf, wall-mounted whiteboard, pedestal, wardrobe and desk lamp. 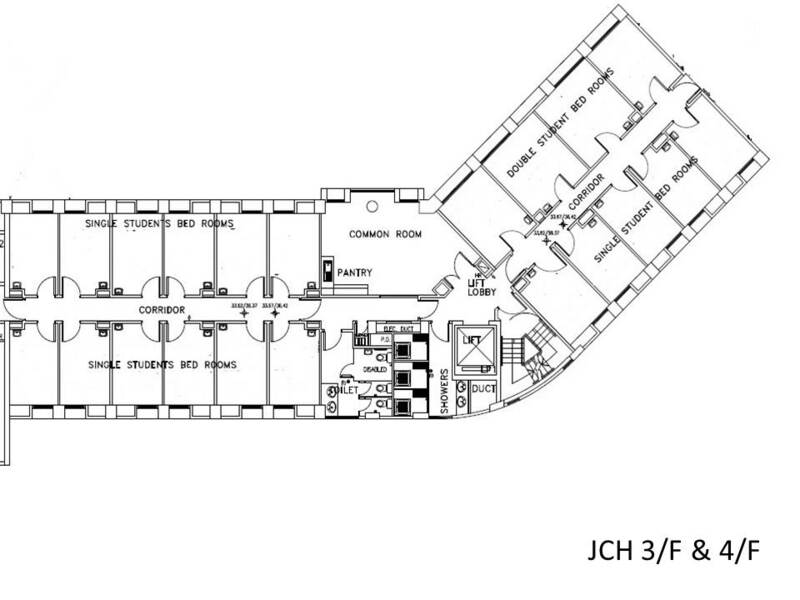 Each room gets you started with all the basics as that of UG Halls. 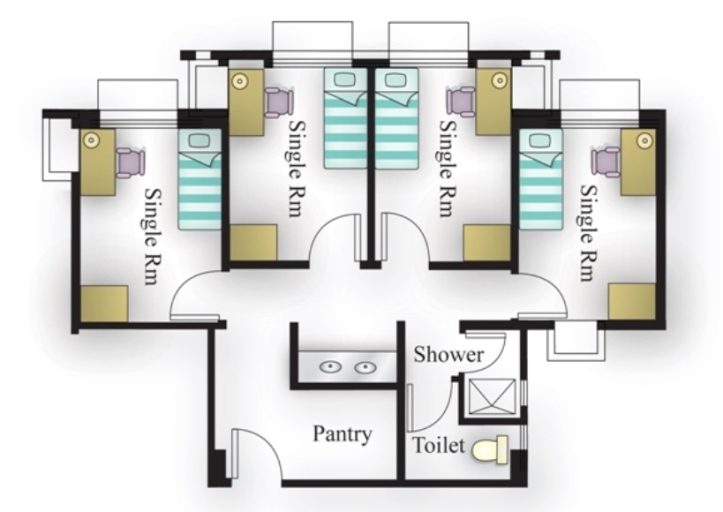 Four single rooms form a self-contained flat with a shared washroom (including a shower booth, a lavatory and wash basin counter sets with mirror cabinets) and pantry facility (including a microwave machine and a refrigerator).